TechnoServe works to help farmers in San Martin, Peru increase productivity and improve the quality of their crops, promote value-added processes such as organic certification and foster related entrepreneurship and small business growth. Jay Nargundkar joined TechnoServe's Volunteer Consultant Program (now the TechnoServe Fellows Program) in Peru in 2011. He previously worked as a strategy consultant with Deloitte Consulting based in the Washington, D.C. area. Cocoa pods are harvested from trees and are cut open in order to extract the beans (and sweet white pulp). This photo is taken at the Instituto de Cultivos Tropicales in Tarapoto where researchers are working to identify strains of cocoa with better resistance to plague and/or production of better-quality beans. From October 2011 to July 2012, I worked in Tarapoto, a small Peruvian jungle town in the San Martin province. 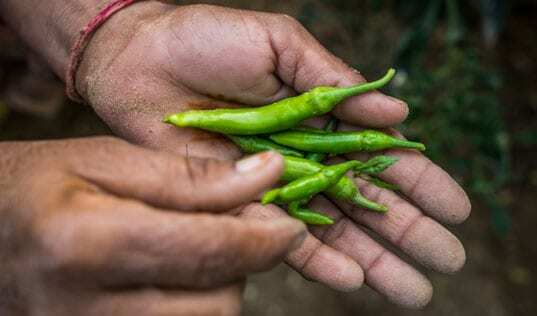 San Martin was known in the 1980s and ’90s as a hotbed of illicit coca production feeding the drug trade, but years of development efforts have since helped to make legitimate agriculture the engine keying the region’s rapid economic growth. With support from the U.S. Agency for International Development's Alternative Development Program and its Farmer to Farmer Program, TechnoServe works to help farmers in San Martin increase productivity and improve the quality of their crops, promote value-added processes such as organic certification and foster related entrepreneurship and small business growth. My work concerned the cocoa value chain, and I primarily focused on assisting those who were bringing finished products to the market. I helped chocolatiers of various sizes with a range of activities depending on their needs. For some, I set up basic financial and accounting controls. I worked with others to develop professional-quality marketing material. I helped every business create or expand a sales strategy that included appropriate product pricing and exploiting new sales channels like local stores and artisan fairs. I served as an intermediary between a couple of less-mature chocolatiers and a food processing engineer to help them source better-quality chocolate and tinker with their recipes to better balance taste and melting point and lower their costs of production. I also helped these businesses obtain the government certification needed to sell their chocolates via official points-of-sale like supermarkets. Jay with Fidel Maldonado, manager of APROCABE, a small cocoa-growing cooperative based in Bellavista. One of my proudest accomplishments was the creation of a Spanish language, easy-to-use “business intelligence” system that any entrepreneur or their employees could use to enter sales data, purchases, production records and other details important to a business. When I first arrived in Tarapoto, I had not figured on needing to learn Visual Basic, a computer programming language, but it proved to be an invaluable tool to develop a user-friendly interface within a simple Excel file that could show a business reports on its monthly purchases, trends in pricing of raw materials, sales by time periods and by client, historical labor costs, production costs and times, inventory and more. 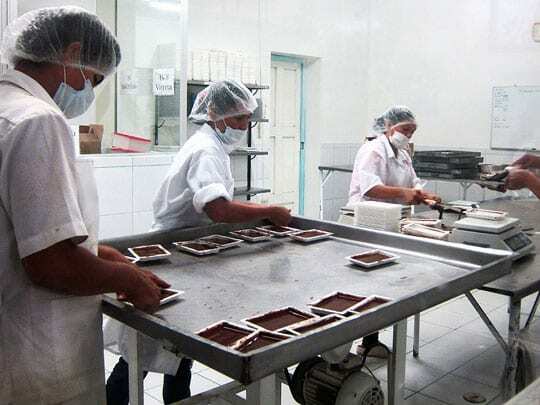 Workers at the Orquidea (Industrias Mayo) production plant in Tarapoto prepare to work with chocolate paste. 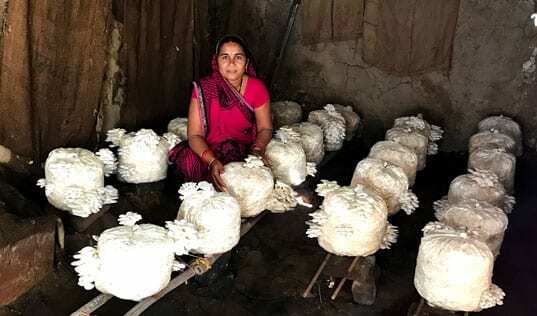 In addition to supporting entrepreneurs, I also fulfilled my lifelong dream of being a teacher through leading a series of weekly workshops to provide business plan training to farmers in the rural town of Juanjui. These classes covered diverse topics such as marketing, developing measurable objectives and every business school student’s favorite paradigm: Las cinco fuerzas de Porter (Porter’s Five Forces). I guided my class through a discussion of substitute products, price and product differentiation, and competitive advantage, using local businesses and my students’ own business ideas as examples and case studies. I loved to laugh and joke with my students, chastising the occasional one who forgot their assignment by asking “¿El perro se comió tu tarea?” (“The dog ate your homework?”) And I continually reminded my students–participants in TechnoServe’s 2012 Idea Tu Empresa (ITE) business plan competition–of the success of previous ITE finalists, pointing out that those entrepreneurs were alumni of the same training workshops. 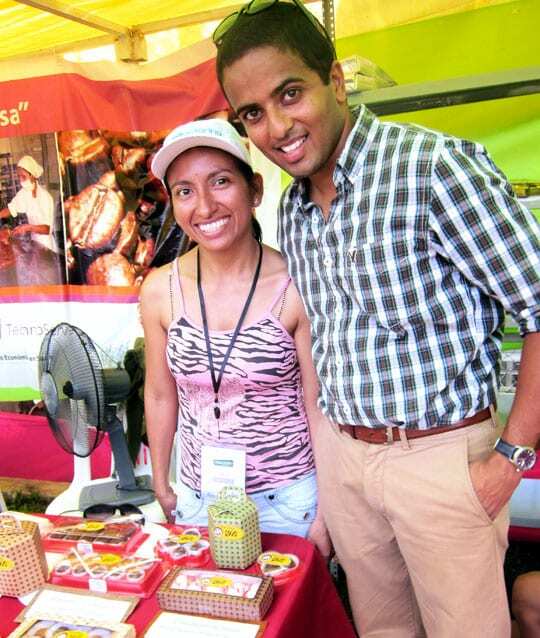 Jay with Yliana Carmen Garcia del Vazquez, a semi-finalist in the Idea Tu Empresa business plan competition, at an artisanal fair in Tarapoto. TechnoServe helped Yliana launch her Chocolates Yli business, obtain the process certification needed to sell in supermarkets and other stores, and build brand exposure through participation in local and regional fairs. I had the good fortune to learn a lot about how cocoa is grown on farms, how the pods are harvested and cut open to obtain the seeds (cocoa beans), how the beans are fermented, dried, cleaned, toasted, shelled and milled, and how the resulting paste is conched (kneaded in a machine for hours to smoothen and mellow the chocolate) and tempered (heating and cooling treatments to give chocolate the right texture and malleability) to arrive at the final product we recognize. 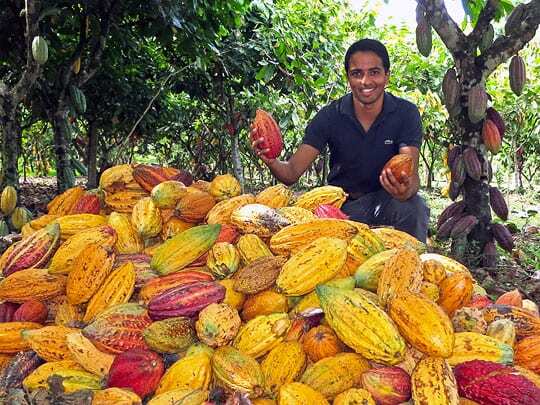 I worked with cooperatives that stockpile cocoa to sell to large buyers, and saw how top-quality chocolate is made at the industrial factory level, the semi-industrial level and the artisanal level. Yes, I have become a chocolate snob! Now back in the States, I miss the motorcycle I bought and learned to ride, the abundance of fresh tropical fruits, being the worst player on the TechnoServe office soccer team, and of course, the many friends I made. 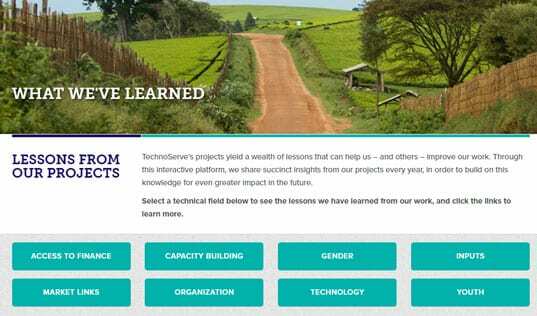 But I derive immense personal satisfaction from knowing that TechnoServe’s work in San Martin is facilitating the rise of a number of great businesses that are introducing cool new products, making money and creating jobs.